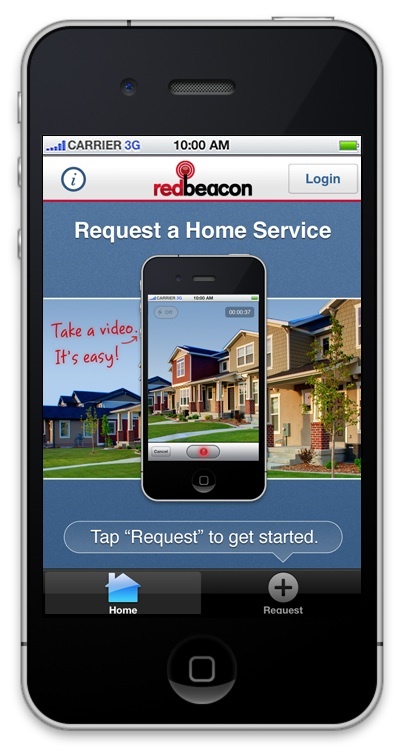 Redbeacon, the web marketplace that connects people with professional home service providers such as plumbers, painters, and yard workers, has launched its first native app for the iPhone(s AAPL). The company, which lets you search for, get bids from, and ultimately book jobs with background-checked and licensed local service providers, has already seen solid growth since it was founded two years ago — but the capabilities in the iPhone app could help Redbeacon take off even more. 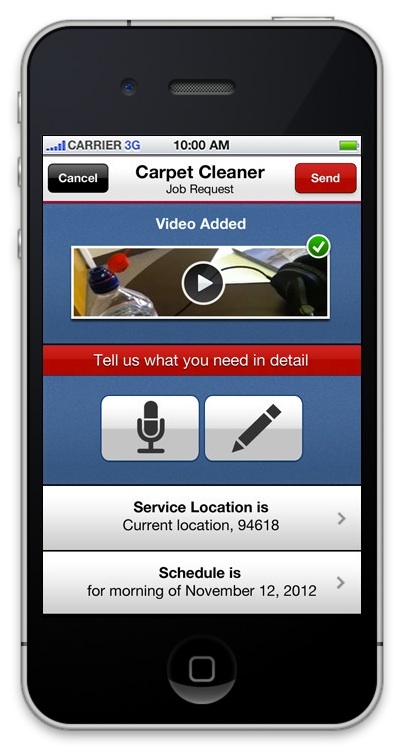 The biggest new perk of the app is it lets people shoot videos, take photos or record voice memos when requesting home services; this makes it easier for consumers to show potential contractors what specifically they need done, and it saves contractors’ time in assessing job prices. Redbeacon has already been testing its users’ appetite for mobile apps in a way, the company’s co-founder and president Yaron Binur said in an interview this week. 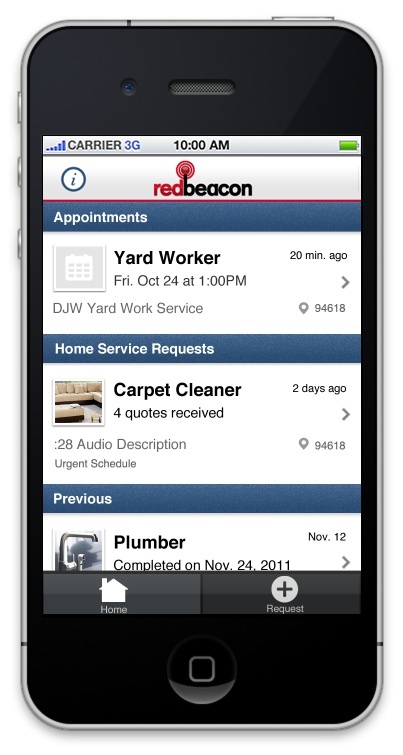 Two months ago, Redbeacon rolled out a mobile web app strictly for service providers that works on all phone platforms, and since then more than 30 percent of the platform’s project bids have come from a service provider on the mobile app. 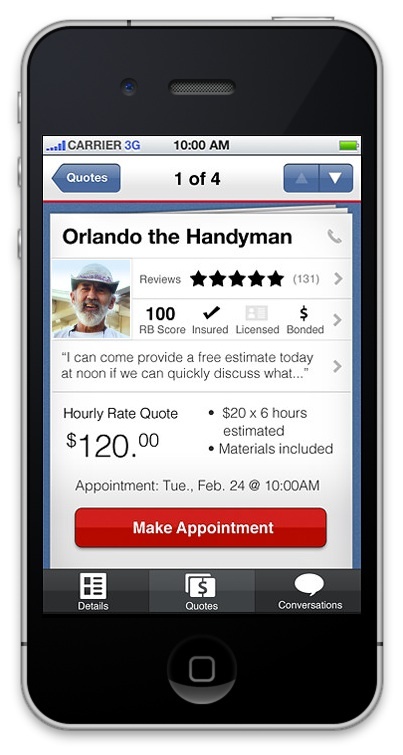 The company expects to see a similarly strong response with its consumer app. The new consumer app is launching only on iOS because the majority of Redbeacon’s user base has an iPhone, Binur said. Down the line, the company will probably launch an Android (s goog) app as well. It’s a fair point. And so far, Redbeacon’s somewhat narrowly focused strategy has proved fruitful: Redbeacon is now live in eight metro areas in the United States, and is currently seeing month-over-month growth rates of 80 to 85 percent, Binur said. Redbeacon is backed with $7.4 million in venture capital and it makes money by taking a small percentage of each completed service transaction it facilitates. Overall, I think it’s a solid approach because it provides benefits and empowerment to both the consumer and the service provider — and the mobile debut seems to have the right elements to make the process even better.